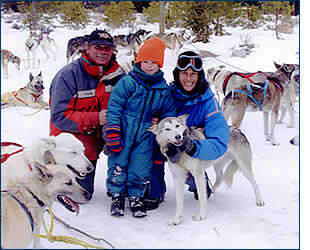 Cosmic Cruisers offers unforgettable wilderness sled dog adventures for all ages and abilities. You can choose between an all day tour or our shorter tour, which is just minutes from Crested Butte Mountain Resort. We specialize in introducing you to the basics of mushing and, when desired, teaching you to run a team of rambunctious, very experienced huskies on a pristine wilderness trail. MUSH ON! Site built & maintained by Paragon Computers, Inc.